"Will Bike For Food" will be posts from weekend bike rides for...food! Im using the term "underground dining" loosely for this one. I mainly just wanted to encourage you guys to ride and explore NY more...that and because the F/G trains are f'd up on the weekends and I refuse to take the shuttle bus. My go-to resources are google maps and ridethecity.com, but despite them, I always seem to have minor hiccups in connecting routes. Ill show you my mistakes so you wont have to! 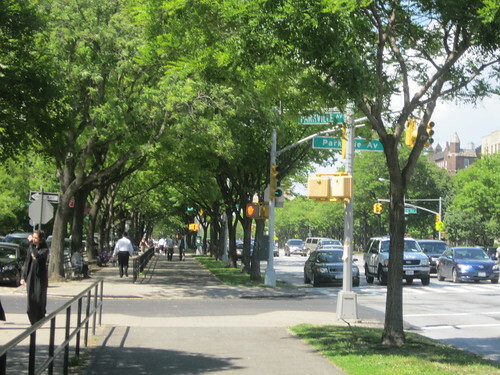 Lesson of the Week: (Coming from Prospect Park) Finding which bike path to turn on from Prospect Park Southwest to Ocean Parkway was confusing. Google Maps is labeled incorrectly. 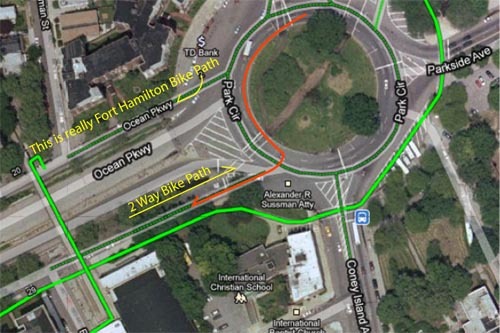 The first bike path you see will actually be Fort Hamilton (see yellow). Do not go up this bridge! Skip that and go to the next one, past the freeway but before Coney Island Avenue. Its a 2 way bike lane (see red), and you will only be riding against traffic momentarily! 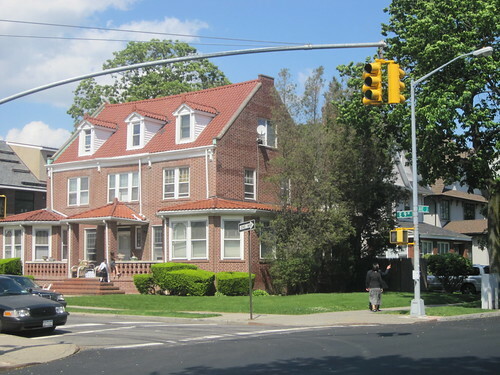 The area is also filled with "mansions" and the smoothest paved streets. Safe for learning how to ride with no hand. Im probably one of the last to have tried Di Fara's. 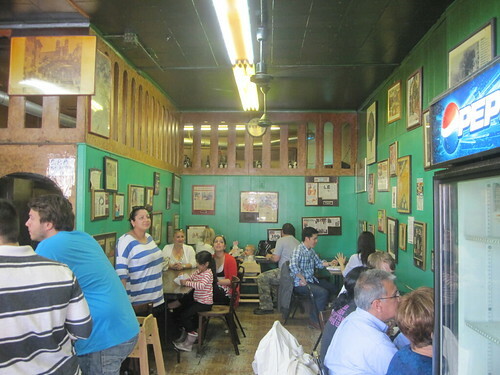 It's a Brooklyn legend and definitely worth your time and money. 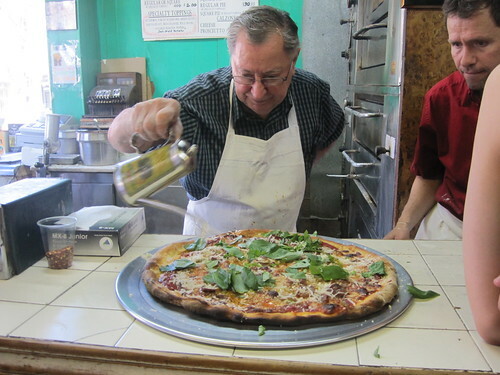 The small run-down looking corner building with seizure fluorescent lighting exists because of Domenico, who is the only one allowed to make the pizzas. Fresh scissor cut basil, topped with can of olive oil. Putting basil on afterwards makes a huge difference in taste compared to sticking it in the oven and cooking it. 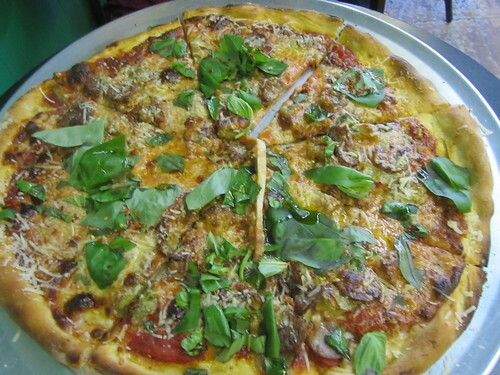 2 girls, 1 pie for $23, topped with sausage (no meatballs that Saturday) and artichokes (gotta have some veggies). Missed out on the peppers that supposedly are on the counter with forks and knives; will add them next time. Finished it all. 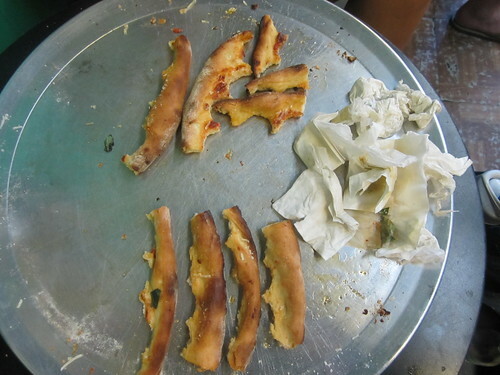 Minus the crust. It was a little too hard, but Im not complaining. I originally said I would only eat 2 and ended up 4 each. So it was that good! 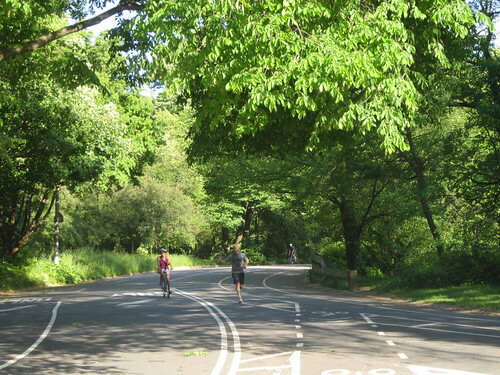 And then a little loop around Prospect Park to feel less guilty. Go Lisa!